The fiber laser machine is one technology that has really revolutionized the metal and auto industrial cutting industries. Unlike other cutting methods that are very expensive, fiber laser machine is now amongst the cheapest metal cutting equipment to run. It cuts metallic sheets that range in thickness from the very thin ones to those that are as thick as 25 millimeters. 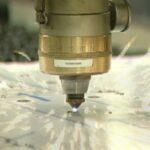 The fiber laser machine is changing the configuration that the laser beams operate on so as to be able to march the specifications for the metal being cut. The configuration is changed electronically, making the work even easier. Till recently, cutting a metallic sheet within the Auto industry was a nightmare. It was either very difficult since it was done manually or if done with machines, it was very expensive. In addition, cutting these metallic sheets with the use of these traditional methods resulted into some very rough surfaces. The laser cutting machine is today used to cut the metals at a cheaper cost and at the same time giving you a relatively smoother surface yet you use the least energy possible. The metal industry is the one that is most interested in the punching laser cutting machine. It’s worth noting that if you cut your metal, introducing very thick sheets of paper will reduce the speed of production. Coil Based Laser Blanking Systems is yet advancement in the auto industry laser cutting technology that has a cut a niche for itself within the industry. Coil Based Laser Blanking Systems uses power coils to perform the laser blanking at extremely incredible speeds compared to other machines of its kind. This increases the number of components that will be ready for use per unit time. The other good news is that Coil Based Laser Blanking Systems is a technology and not a machine. The technology can therefore be integrated with most of the other laser cutting machines that are in the market and in our stores today or rather it can be integrated in those laser blanking systems that we know of. Rather than just technologies, standard have also been highly improved within the laser cutting industry. This has majorly been done by the laser cutting educational centers thereby making it easy for new discoveries to be made within the industry. Among these standards is ANSI ZI36.9 which majorly deals with the safe use of laser cutting machines and the technology as a whole within the manufacturing environments? Through this standard, today you can easily operate a laser since the operation of laser beam wavelengths that range between 1 and 180nm have now been provided for in the standards. 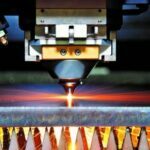 At Architectural & Industrial Metal Finishing Company, LLC, our custom laser cutting services offer customers a fast and efficient way to obtain precision cut metal shapes and blanks. Our 3-axis CO2 flying optics laser cutting system has a maximum power output of 2500 W. We can process hot rolled and cold rolled steel, aluminum, and stainless steel up to 120” x 60”; in thicknesses up to 0.75”; with an accuracy of .004”. Laser cutting is an ideal solution for economically cutting custom shapes out of sheet and plate metal without the need for expensive tooling. Our turnaround time is also very fast, often 2 or 3 days, and we are equally capable of handling small and large volume production runs. JIT shipping services are also available as a value added service to customers and our additional processing capabilities include powder coating, light fabrication work, welding, cutting, assembly, packaging, and delivery. For more information about our custom laser cutting capability, feel free to contact us directly.